Everbalance Wellness Studio provides classes customized for your specific fitness goals. Change your routine, change your life! At Everbalance, after attending our wellness studio for a month, feel the results and experience an increase in stamina, strength, and flexibility. Our highly trained and motivated instructors have a passion for yoga, pilates and barre and their classes show it! Sign up now to transform your physique and realize your body in new ways. Check out our list of class options to choose from. There is always something new to experience at Everbalance! If you are looking to start a yoga program, Everbalance offers multiple classes. From beginner mindbody yoga with aroma therapy to gentle power yoga, there are many options for the beginner to the advanced practitioner. 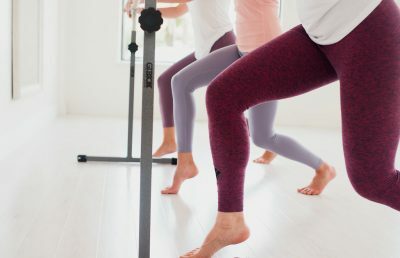 Our high energy barre classes include barre basics to get you started in barre. The cardio, core and yoga fusion options help you continue to advance in your practice. The reformer offers all the famous benefits of Pilates besides overall strength, flexibility, coordination, and balance it’s also daily life improvements. Mat Pilates All Levels will deliver a great total body Pilates workout featuring classical Pilates Exercises without equipment or props on the mat. Let our team show you how to get all the wonderful benefits of Reformer Pilates with our private sessions. We’re in the process of being set up for massage therapy! Check back soon for more details. Take a quick look around our beautiful Sunbeam facility! Click on any of the images below to view the full 360 virtual tour. SoulBody Barre Teacher Training Coming to Everbalance on February 24. Becoming a barre instructor is a fantastic way to focus on your health and earn extra money!